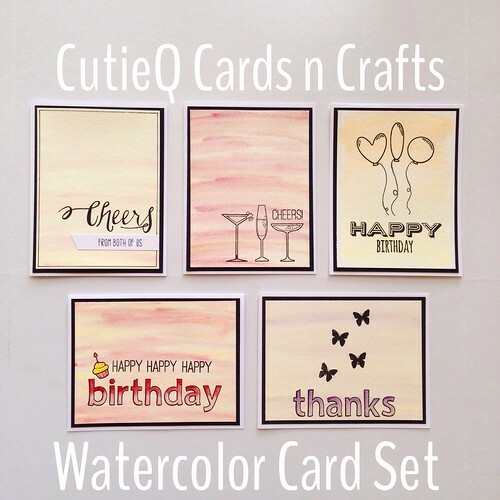 CutieQ Cards n Crafts – Watercolor Card Set | Living life in the carpool lane..
It’s been a long time coming, but I finally did it. I’ve been making cards for awhile and I’ve been trying and trying to sell them. I’ve had some success with having some of my cards at the flower shop that did the flowers for my wedding. I also want to try to see if I can sell my cards on my own. I’ve decided to make card sets. They are a set of 5 cards. Each set may vary. They cost $20 with $5 shipping. 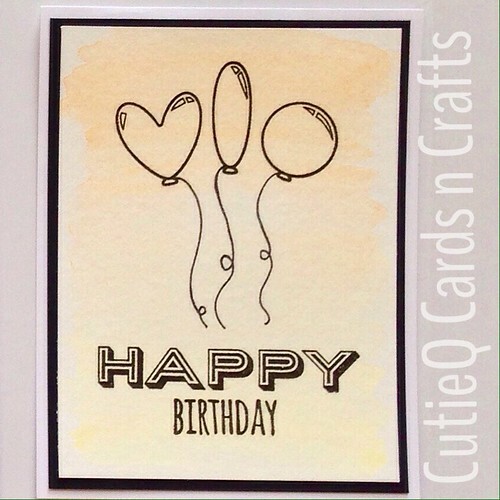 I’ve revealed my very first card set on Instagram (@shopcutieq). You can also purchase through that Instagram account by contacting me through the comments. Without further ado, here is my first card set, Watercolor Card Set. 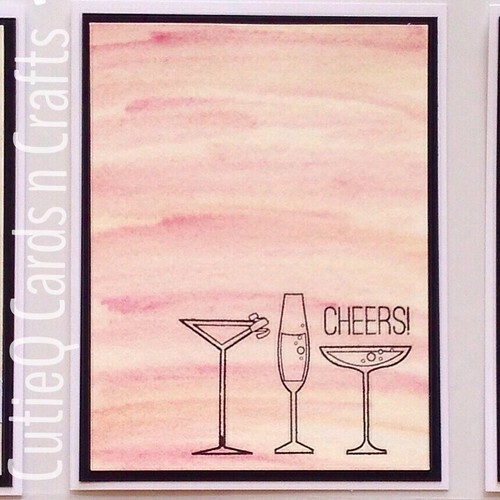 This card set features a watercolored background. 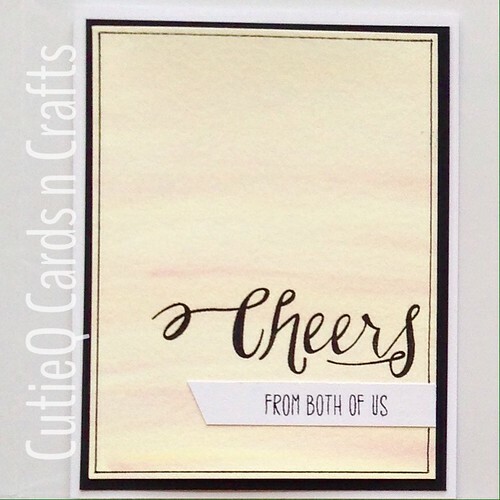 There are two ‘cheers,’ or congratulatory greeting cards, two birthday cards, and one ‘thank you’ card. Each card is watercolored by me. Each card is hand-stamped by me. Each card is put together by me. While only ONE card set is available for immediate sale, if asked, I can create this card set again for you to own. Just allow me a 1-2 weeks from ordering so I can recreate this set again. With all things handmade, subsequent sets may look slightly different from what is shown in the picture. I promise you, the quality will be the same. I haven’t posted this on Etsy yet, but if you are interested in owning a set like this, please follow me on Instagram, @shopcutieq, and contact me there. I do plan on posting these sets on Etsy once I create about 5 more card sets. If everything works out, I plan on releasing a card set a week. 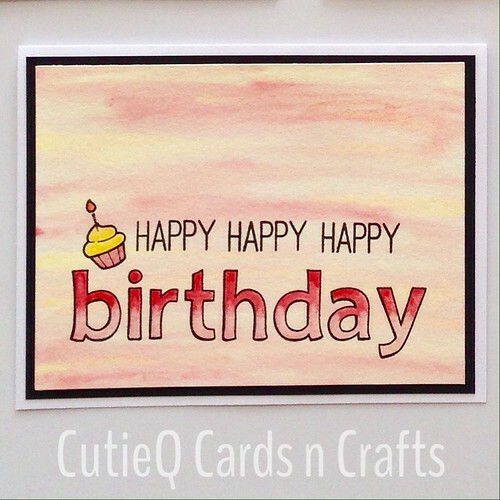 Please consider shopping CutieQ for your greeting card needs! 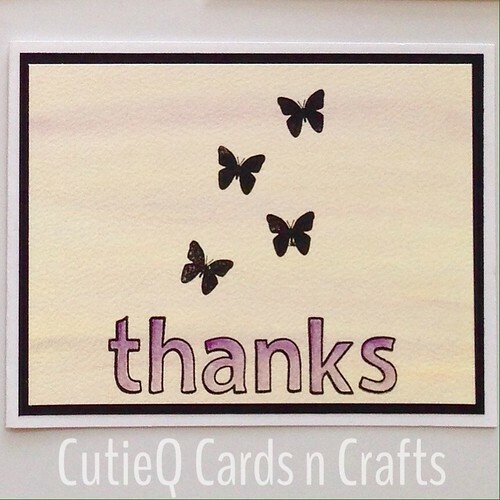 2 Responses to "CutieQ Cards n Crafts – Watercolor Card Set"
1 | CutieQ Cards n Crafts – “Hello” Card Set | Living life in the carpool lane..